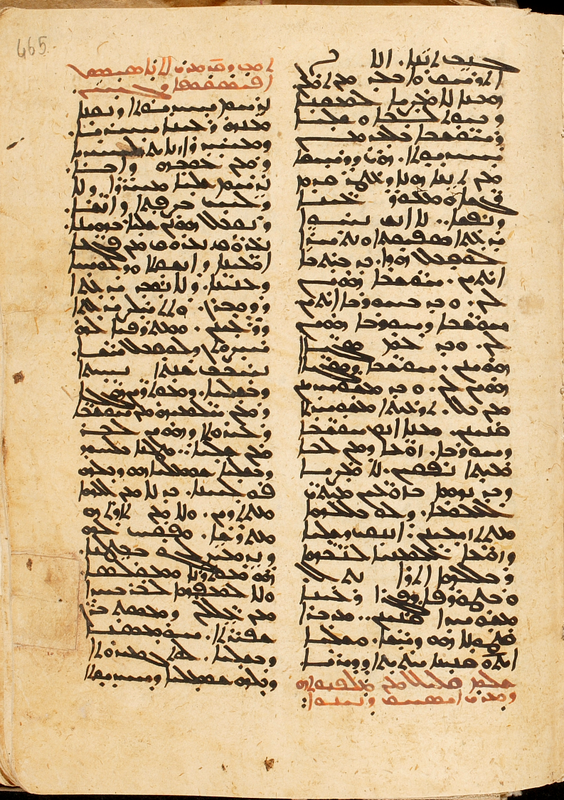 DCA (Chaldean Diocese of Alqosh) 62 contains various liturgical texts in Syriac. It is a fine copy, but the most interesting thing about the book is its colophon. 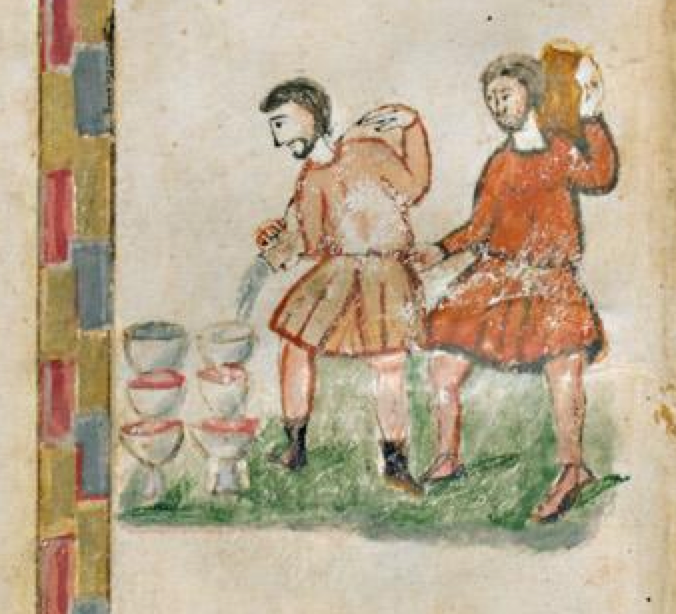 Here first are the images of the colophon, after which I will give an English translation. 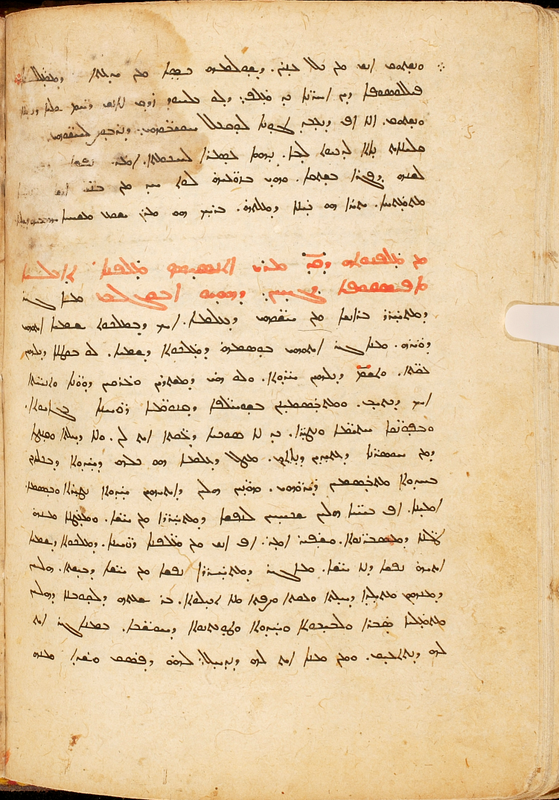 This liturgical book for the Eucharist, Baptism, and all the other rites and blessings according to the Holy Roman Church was finished in the blessed month of Adar, on the 17th, the sixth Friday of the Dominical Fast, which is called the Friday of Lazarus, in the year 2150 AG, 1839 AD. Praise to the Father, the cause that put things into motion and first incited the beginning; thanks to the Son, the Word that has empowered and assisted in the middle; and worship to the Holy Spirit, who managed, directed, tended, helped, and through the management of his care brought [it] to the end. Amen. I — the weak and helpless priest, Michael Romanus, a monk: Chaldean, Christian, from Alqosh, the son of the late deacon Michael, son of the priest Ḥadbšabbā — wrote this book, and I wrote it as for my ignorance and stupidity, that I might read in it to complete my service and fulfill my rank. 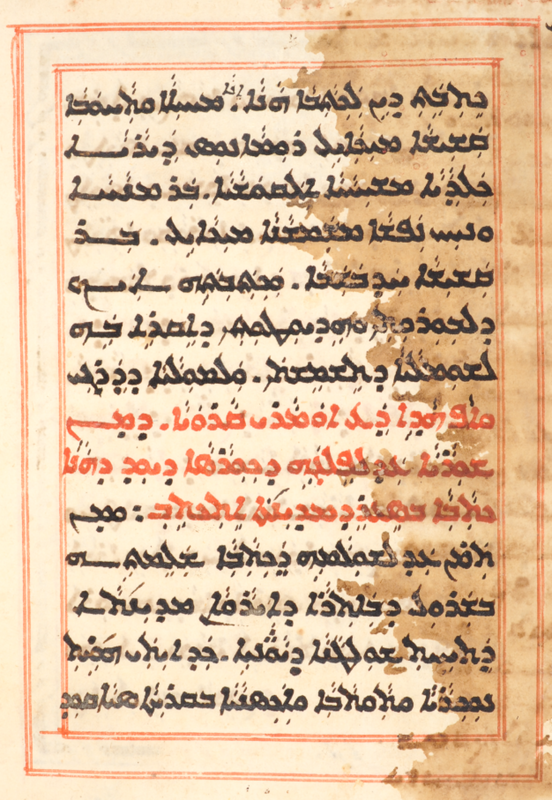 Also know this, dear reader: that from the beginning until halfway through the tenth quire of the book, it was written in the city of Siirt, and from there until the end of the book I finished in Šarul, which is in the region of the city of Erevan, which is under the control of the Greeks (? 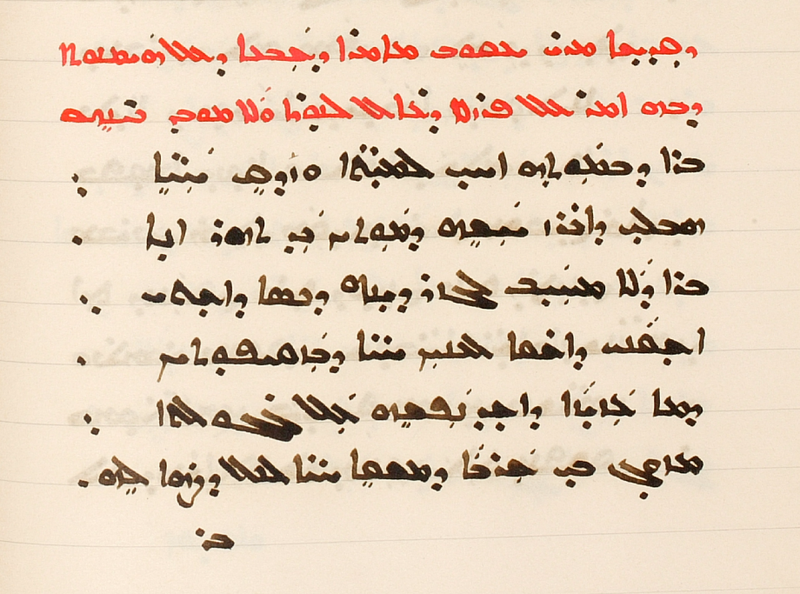 ), when I was a foreigner, sojourner, and stranger in the village of Syāqud. 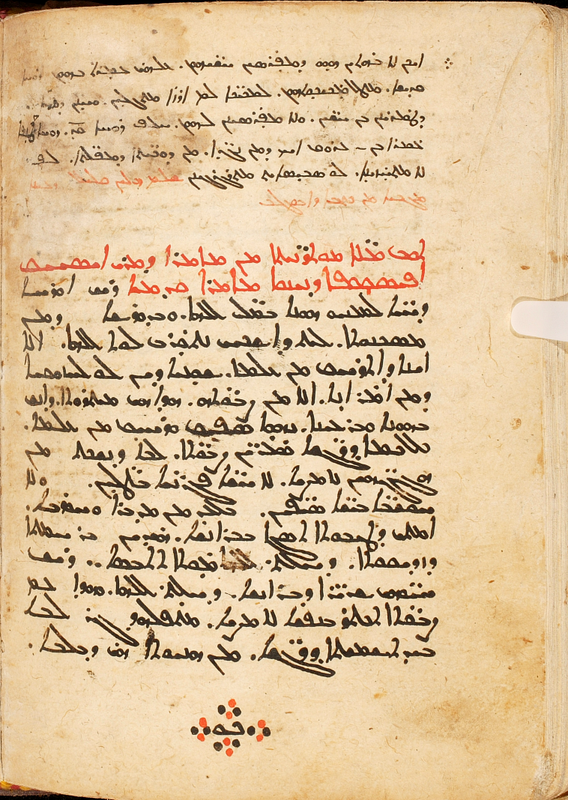 The fact that the scribe started his work in Siirt (now in Turkey), relocated, then completed his work, is of interest in and of itself. As for the toponyms, Šarul here must be Sharur/Şərur, now of the Nakhchivan Autonomous Republic (an exclave of Azerbaijan), which at the time of the scribe’s writing was under Imperial Russian control, part of the Armenian Province (Армянская область), and prior to that, part of the Safavid Nakhchivan Khanate, which, with the Erevan Khanate, Persia ceded to Russia at the end of the Russo-Persian War in 1828 with the Treaty of Turkmenchay (Туркманчайский договор, Persian ʿahd-nāme-yi Turkamānčāy). 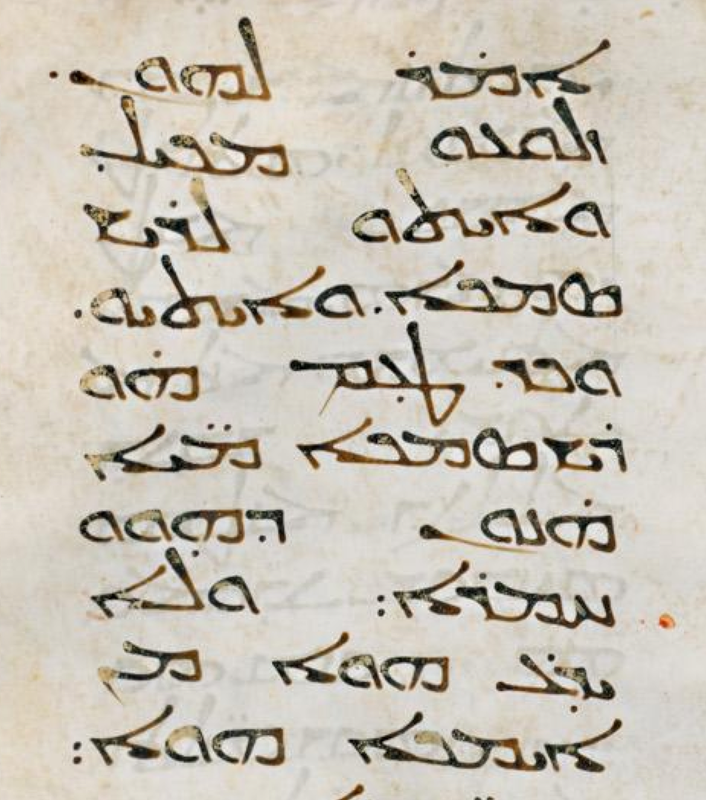 The spelling of Erevan in Syriac above matches exactly the spelling in Persian (ايروان). When the scribe says that Šarul/Sharur/Şərur is in the region of Erevan, he apparently means the Armenian Province, which contained the old Erevan Khanate. He says that the region “is under the control of the Greeks” (yawnāyē); this seems puzzling: the Russians should be named, but perhaps this is paralleled elsewhere. 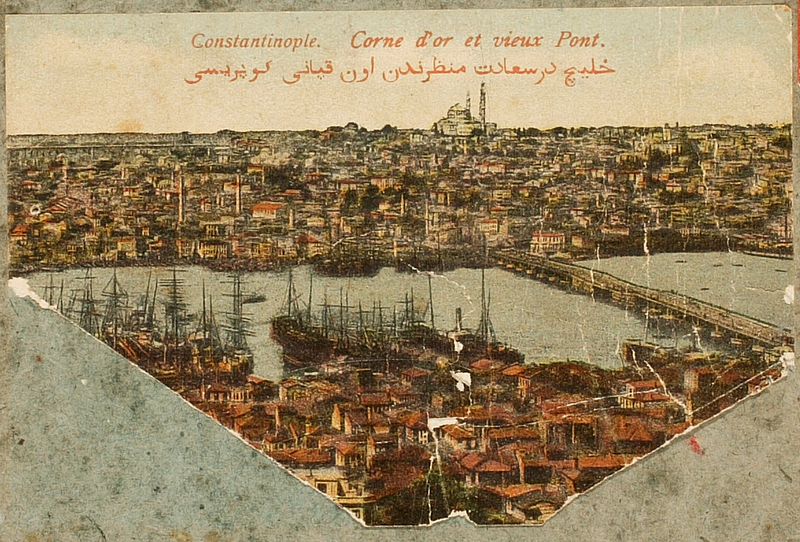 For Syāqud, cf. 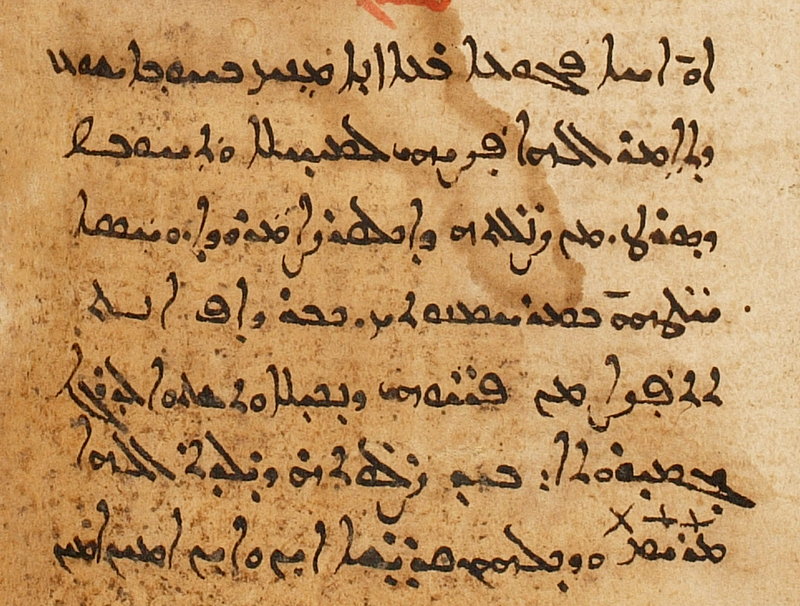 Siyagut in the Syriac Gazetteer. 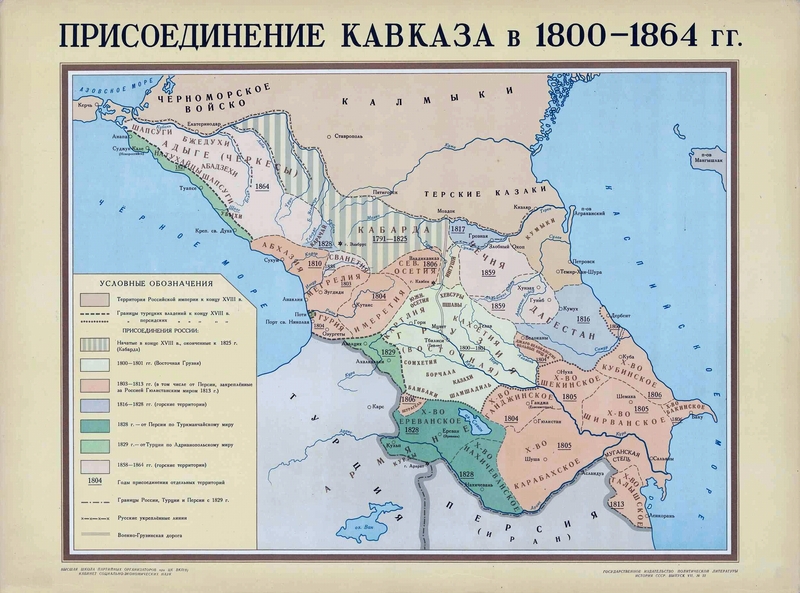 See the Erevan and Nakhchivan khanates here called respectively Х(анст)во Ереванское and Х(анст)во Нахичеванское, bordering each other, both in green at the bottom of the map near the center. 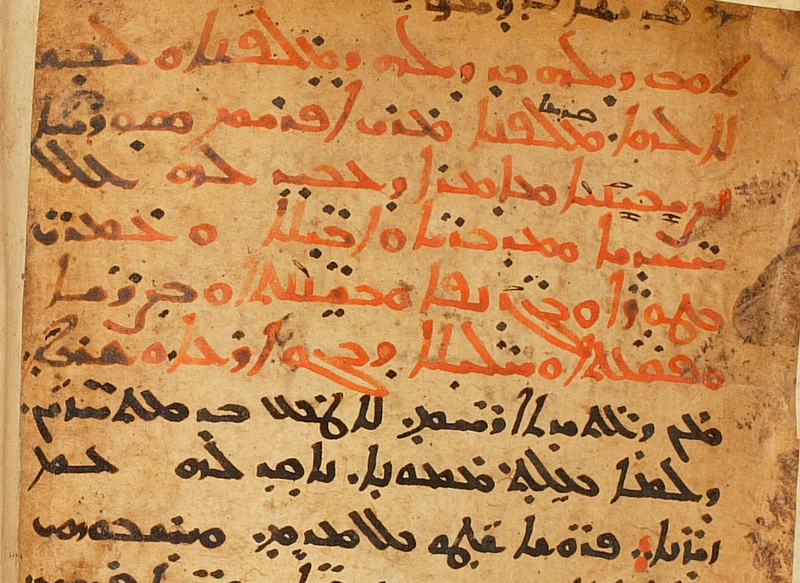 So we have an outline of trinitarian direction in completing the scribal work: abā — šurāyā; brā — mṣaʿtā; ruḥ qudšā — ḥartā. 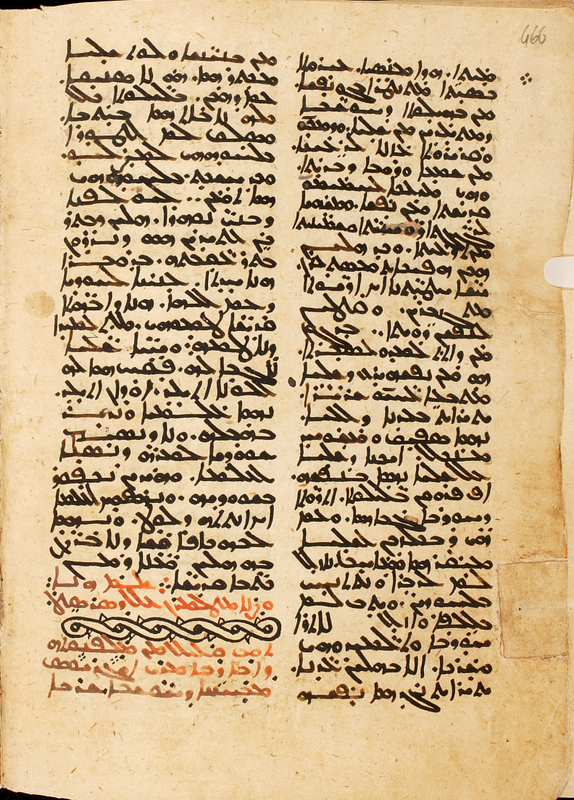 Here is a colophon from a manuscript I cataloged last week (CFMM 155, p. 378). 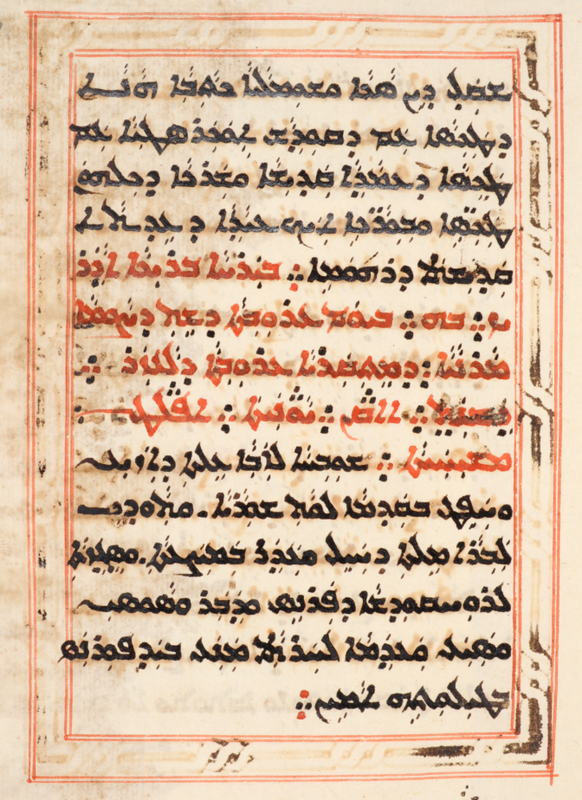 It shares common features and vocabulary with other Syriac colophons, but the direct address to the reader, not merely to ask for prayer, but also to suggest that the reader, too, needs rescuing is less common. 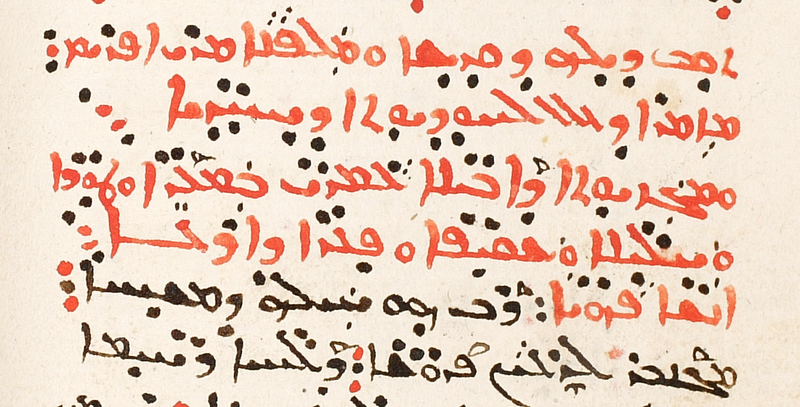 We often find something like “Whoever prays for the scribe’s forgiveness will also be forgiven,” but the phrasing we find in this colophon is not as common. Brother, reader! I ask you in the love of Jesus to say, “God, save from the wiles of the rebellious slanderer the weak and frail one who has written, and forgive his sins in your compassion.” Perhaps you, too, should be saved from the snares of the deceitful one and be made worthy of the rank of perfection. Through the prayers of Mary the Godbearer and all the saints! Yes and yes, amen, amen.